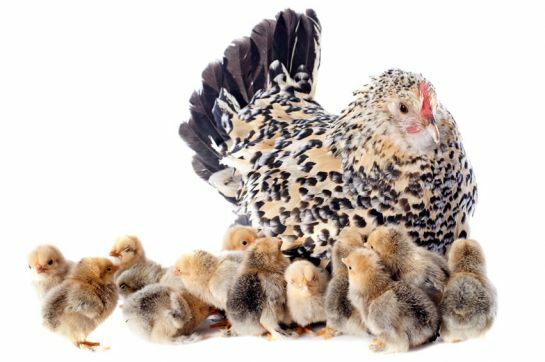 A Guide to Keeping Chickens? Questions to ask before you start? Andrew and Sandra Kerr are experienced and enthusiastic artisan breeders of exhibition standard poultry and waterfowl. 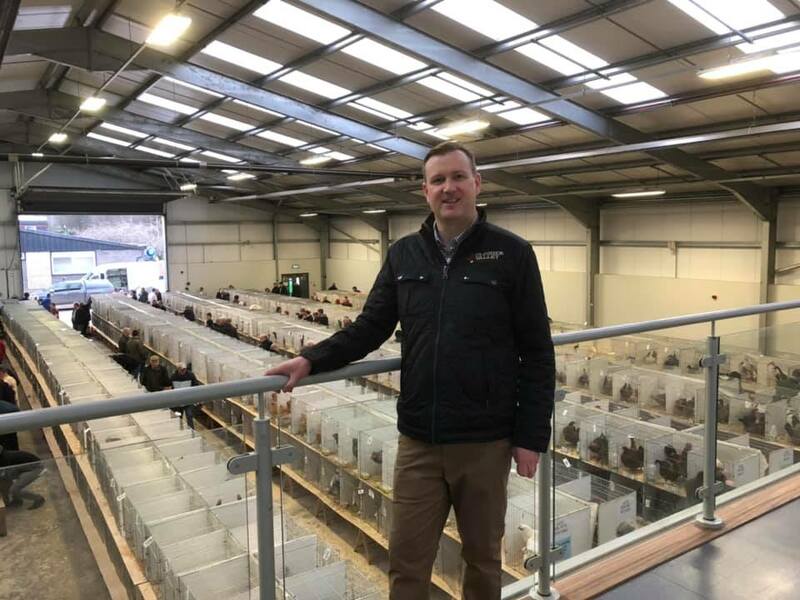 From their base at Fivemiletown, County Tyrone, Northern Ireland, they supply poultry keepers and hobby breeders across the UK and Ireland with a wide range of poultry, hatching eggs, equipment and housing. 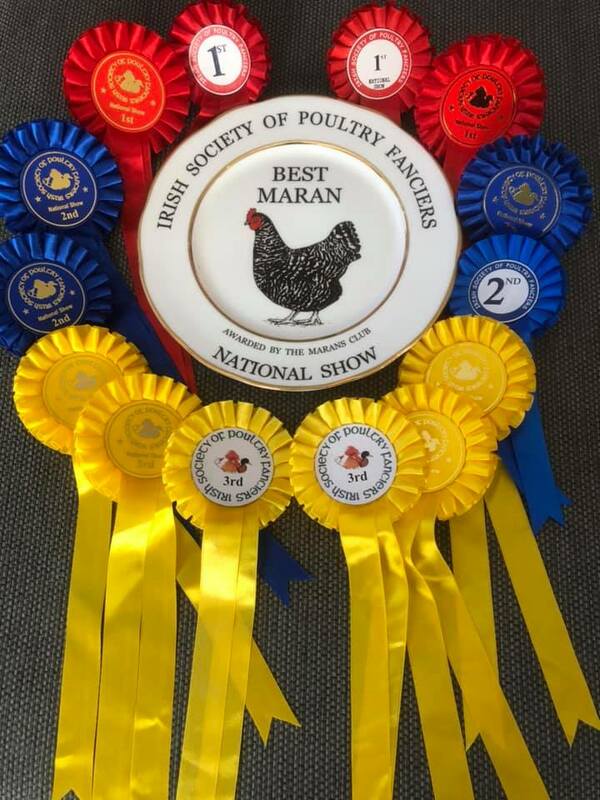 “ At Clogher Valley Eggs and Poultry we pride ourselves in the quality of our stock and share a passionate interest in sustaining the many colourful traditional and rare breeds of poultry. 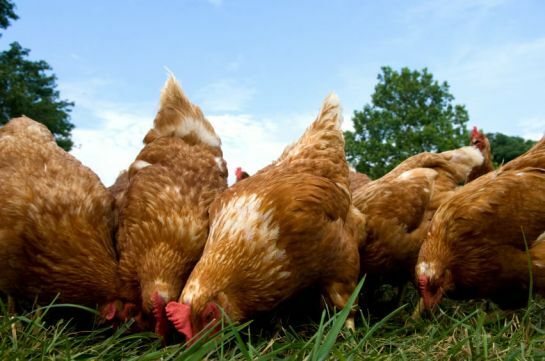 To ensure strong and healthy stock, all our homebred poultry are reared in small flocks on fresh clean grass. Also available are a wide selection of hand crafted poultry coops each with their own traditional yet unique style. Enjoyable trip to Borderway Mart Carlisle for the first sale of the year in England. Prices were very strong across all sections in the sale with our prices for hatching eggs particularly pleasing. It was great to catch up with some of our customers on the mainland and thanks to everyone who purchased birds or hatching eggs at the sale. We also used the opportunity to source some new stock for customers as well as our own breeding pens. We have a small number of lots of Legbars, marans and mixed bantams available. Contact us if interested. Looking forward to the sale this Saturday at Borderway Mart Carlisle. It promises to be a very busy day with almost 2,500 entries forward. We have a large number of entries in the sale as well as a large number of orders which are being delivered on route to Carlisle. I have some limited space available if anyone wishes to place advance orders for birds with delivery points at Castle Douglas as well as Carlisle itself. If you wish to place an order for birds or would like me to source you some new stock send me a private message or call me on 07812138528. Special thanks to all those that have already placed orders looking forward to catching up with you all over the weekend! Early start and long trip to Co. Laois yesterday to attend the ISPF National Show! We had 20 egg and poultry exhibits with 15 placed first to third. 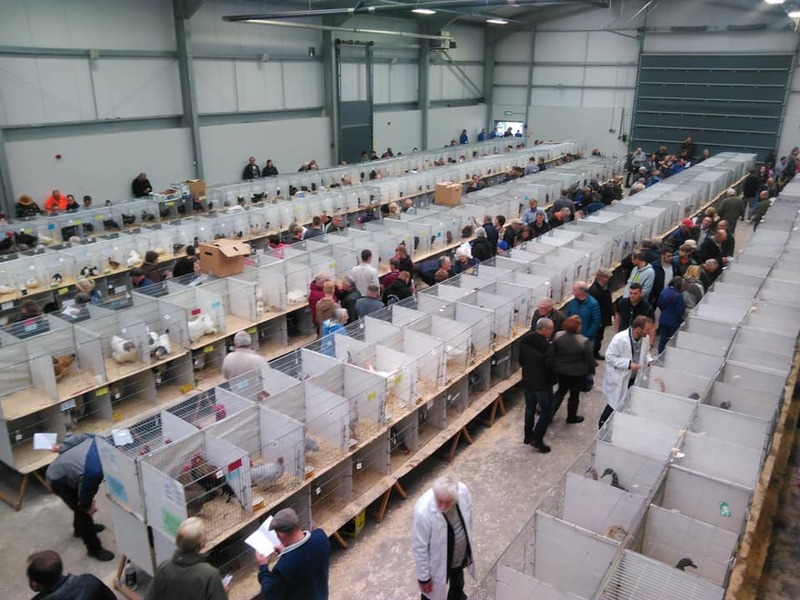 There were over 1000 exhibits on show with the overall standard of birds on display very high! Congratulations to the organisers on a very well run event and to everyone who picked up prizes on the day! Very helpful and friendly. We were shown around and able to see the wonderful variety of hens. All looked in great condition .we brought ours home last night and were delighted to get our first egg this morning. Would recommend. Thank you Andrew and Mathew!! Delighted with the service we recieved from Andrew. This is the first time we have had chickens and he provided us with everything we need to get started including plenty of advice. The coup he made is gorgeous, it lools great and is very sturdy. More than happy and will be returning for anything else we may need. A huge thankyou to Andrew and Sandra, We are a scheme supporting adults with mental illnesses to live independently, our tenants requested chickens and I took charge of sourcing. One phone call and a very helpful and friendly Andrew sorted everything for us, within days we took delivery of a high quality hen coop and run, nine brilliant feathered friends and everything else we need to keep them alive! Andrew and Sandra stayed to help us set everything up and even built a rabbit run at short notice. We got our first egg this morning and its like Christmas!!!! Thankyou! Laura Jane Linton, Clondermott House, Londonderry. Just bought the Windsor poultry house from Andrew. It's a substantial, well-made piece of kit and very good value for money.......................our hens and Jock the rooster are looking forward to moving in! I have been buying chickens of Andrew for the past 6 years. On each occasion he has been most accommodating, helpful and trustworthy. Andrew is most accommodating and helpful when arranging a suitable time select chicken. As I require a child friendly rooster Andrew kindly picked out the most suitable one for me. He has a great variety of poultry to choose from and I highly recommend him. Mary and Leona Mimnagh, Tattyreagh, Omagh. Just bought a new Windsor hen coop and Buff Orpington's. The service provided by Andrew was 1st Class. Hope to do more business with him again in the future. 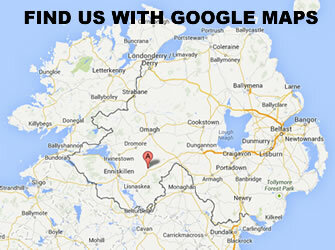 TJ Moore, Ballinamore, Co. Leitrim. Just collected by new duck house with integrated pond. Fantastic house for anyone with call ducks, very easy cleaned and the ducks love it would definitely recommend! Dara Walker, Lack, Co. Fermanagh. I bought a Bluebell hybrid (now called Blueberry) and a Partridge hybrid (now called Dolly) as well as a beautiful Buff Orpington they are all healthy and happy birds. Thanks Andrew, for showing us round and we are very glad that we bought the hens that we did.